Indeed, it seems likely that not only could rewarded video ads overtake interstitials in terms of total ad spend in 2017, but rewarded ad formats might also become the majority component of mobile game advertising market in 2017. Although the transition was slow, the modern mobile game industry didn’t start until Apple enabled in-app purchases in iOS 3 back in 2009. 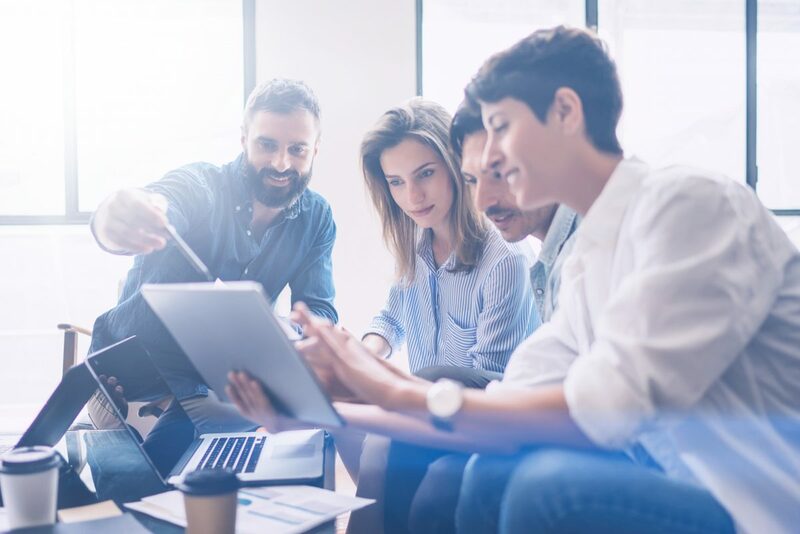 The reasons the transformation from a hundreds of millions of dollar industry to a tens of billions of dollars industry took time was two-fold. Game developers had no experience of deeply integrating IAPs into their games, while players didn’t understand their value. 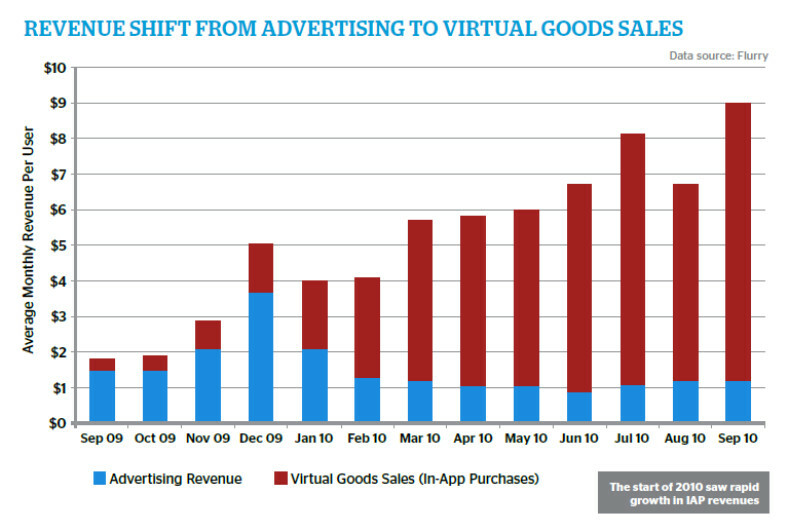 Squaring this circle took years, but it was clear, even by the start of 2010, that selling virtual goods was going to change the mobile games business, both in terms of game design and especially its financials. Yet as the industry experienced its first $100 million and then its first $1 billion mobile games, it became clear these large revenues were coming from a relatively small group of players. In a much cited piece of research in 2014, it was claimed half of IAP spending was generated by 0.15 percent of total players. More generally, it’s argued an inherent byproduct of the free-to-play distribution model is that less than 5 percent of players – and in most games closer to 2 percent – will ever buy an IAP. Hence, providing options so developers can monetise the more-than-95 percent of players who won’t – or can’t – spend in-game has been a key one for the industry to solve. Initial options such as simple banner ads worked in the functional sense of serving an advert, but the low quality of the experience and very low levels of revenue generated per impression meant that unless developers could offer networks access to a huge number of eyeballs, it made more sense to focus on optimising a game’s IAP spending potential. This situation wasn’t helped by the negative reaction of players to such in-game advertising, which often led to a reduction in retention as intrusive advertising drove players to churn out. This changed as full-screen interstitials or native ads become more widely available. Indeed, despite the rise of video ads, such formats are also growing strongly and remain the largest component in terms of ad spending within the mobile game sector. 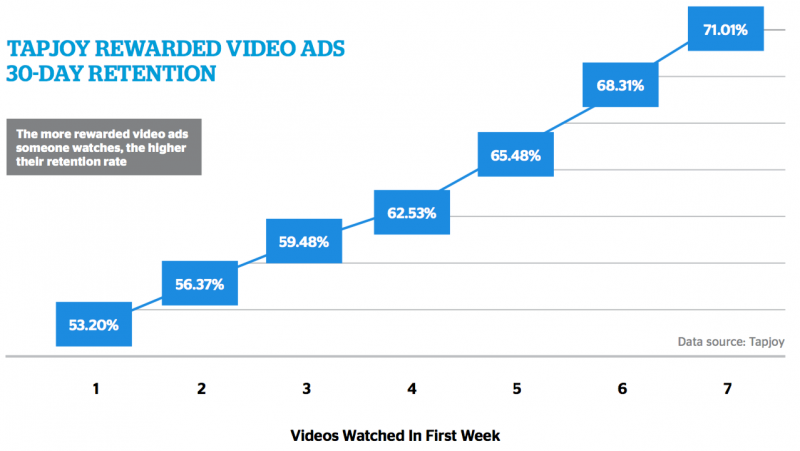 Yet, rewarded video is growing much, much faster. Indeed, it seems likely that not only could rewarded video ads overtake interstitials in terms of total ad spend in 2017, but rewarded ad formats might also become the majority component of mobile game advertising market in 2017. The reason for this is not just due to ability to run high quality videos over mobile networks, but the psychological impact of the reward provided for players. This also overcomes the issues surrounding ad-blocking technology, which has had a substantial impact in terms of non-rewarded ad formats in developed markets. Because F2P mobile games are designed to be endless entertainment experiences, players always have various goals, both short and long term, to complete. Buying IAPs is one way to speed up such progression, and the rewards provided by watching a video ad fit easily into this flow as well. Developers can enhance such adoption by placing the trigger points to run adverts in appropriate situations such as a potential fail state so a player has the option to watch an advert to continue their game session, or a way of increasing post-session success whereby watching an ad will gifts the player with more rewards. Indeed, in well designed games introducing rewarded video ads leads to an improvement in player engagement and long term retention. Research shows players who watched one rewarded video ad in their first week of play had a 30-day retention rate of over 50 percent, which compares to an average of around 13 percent. Also, the more rewarded video ads players watch, the higher their retention rate, with seven ads watched boosting the 30-day rate to over 70 percent. 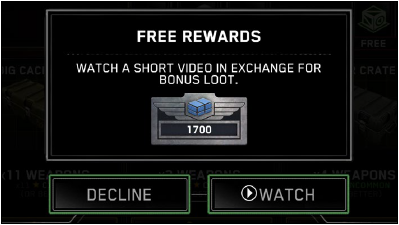 An even more surprising result is the introduction of rewarded video ads can boost IAP spending. For example, South Korean developer Joycity introduced rewarded video ads into its title Game of Dice, and in addition to generating advertising revenue, saw IAP revenue increase by 10 percent. In this way, the best mobile game developers now find themselves in a win-win situation. They can directly monetise a small subset of players for large amounts of money using IAPs, while indirectly monetising their entire audience using rewarded ads, which help to keep their player base engaged and retained. This isn’t to say there’s no place for other forms of in-game advertising, though. Traditional banner and interstitial ads still work well in fast-growing and populous markets such as South East Asia and South America where users often don’t have access to cheap data networks or credit cards. These audiences are also more used to seeing non-rewarded ads, so there’s less negativity surrounding these formats than in developed markets.